Is Ractopamine Safe for Consumers? Ractopamine is a feed management tool used by hog farmers. PayLean is another name for ractopamine. It is a feed ingredient that directs nutrients from fat to lean protein, which will result in more lean pork. Well, last January, Consumer Reports wrote an article entitled, “What’s in the Pork?” which talked about ractopamine, among other findings. 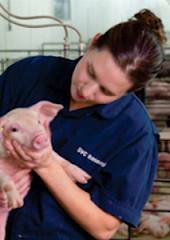 The Consumers Union article was inaccurate and the National Pork Producer Council responded to the allegations. But the damage had already been done. All the pork tested by Consumer Reports was well below USDA and international allowances for ractopamine. Doctors, veterinarians, and meat scientists have stated the USDA level of ractopamine is safe. But as we are finding more and more common, mainstream media loves fear mongering. They throw around the words “Big Ag” and “Factory Farms” creating fear of the unknown in consumers. This media approach creates reader interest and controversy. The other issue that enters into this discussion is how other countries are reacting to ractopamine. Hog farmers rely on exporting 27% of their meat. 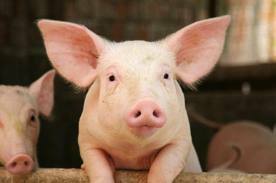 The European Union, along with Russia and China, are not buying pork with any traces of ractopamine. The banning of ractopamine from countries like China and Russia is suspect as political ploys because they are not following CODEX (a UN food standard-setting body) recommendations, which indicate the safe levels of ractopamine. But, one person’s perception is also one’s reality. And that is what we are dealing with in regards to individual consumers. Consumers are very skittish these days and sometimes will assume the worst before researching the facts. I, on the other hand, prefer to rely on experts in the field. I don’t have a science degree, but I will ask questions and rely on answers from field-specific experts. It’s really scary to me when decisions are made based on uninformed consumers preferences, while completely ignoring science. Is science always right? No. But it’s better to use science-based facts than what we think we know. But one thing is for sure, we are ALWAYS looking for ways to improve. New information, new research and new findings do change our knowledge base. That’s why it is imperative that we continue researching food safety. Do we completely ignore consumers? We need to help educate and inform what we as farmers do and why we do it. Having that consumer conversation will go a long way, and we as farmers, need to do a better job in communicating. Not only asking questions on my page but asking questions on Food Dialogues website is a great resource for consumers. We personally do not use ractopamine on our farm. It is just not part of our feed management system. But I am not afraid of it because I know our meat supplies levels are below USDA recommendations. I am a proponent of consumer choice. So despite what I feel is fear mongering and overreaction, can a consumer buy ractopamine-free pork? Yes. Buy local and ask your farmer if they use ractopamine. This latest issue is just another example of why we need to keep informing consumers about how we raise their food and why. If you have any questions, please comment below and I will get an answer for you. Wanda, thank you for writing a clear and intelligent commentary on ractopamine. It is now September of 2015 and I have just now read a major media story about the drug. ( I guess I missed the initial go around with that buzz. ) We consumers get quick “sound bites” that generally only give the briefest bit of information and it usually is information that seems intended to cause fear. I appreciate your counsel that as a consumer I need to do my own research before drawing conclusions based on only a small bit of information. Your article was the first one that appeared when I began my search. It is a model of what good and effective consumer education should be. Thank you. Thank you. Doing our own research is something I can’t stress enough.